1. How many children are there in you school ? 2. Where do these children come from ? 3. Which classes does the school have? 4. Where do they go after class V? Ek Prayaas works tirelessly to admit the children into nearby mainstream schools. Some exceptional children are admitted into well-recognised schools of Kolkata. 5. Do you have an admission procedure? Yes, Ek Prayaas gives out admission forms and holds interviews. The admission is based on the children's need. After screening the children and guardians we hold interviews. 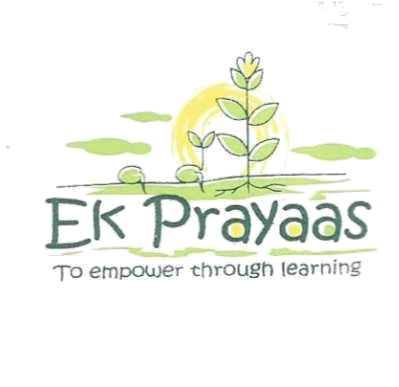 Ek Prayaas has a minimum age requirement of 4 + for Lower Nursery but no upper age limit. Any child willing to study can be admitted into Class Lower Nursery. 6. What are your sources of funds to run the school? Private donations, combined with some organisational support through family and friends. You can choose to be a volunteer with your time or services. You can choose to donate to the organisation monetarily or in kind. You can donate money online as well through our website. 8. What can we distribute as gifts to the children? Ek Prayaas accepts educational tools such as stationary, water bottles, school bags, puzzles and activity books. You can also provide health & hygiene products such as soaps, shampoo, oil, vitamins etc. You could also treat the children with eatables.